Yarn Stories is a British company spinning yarn in a historic mill in Yorkshire. Producing merino and alpaca yarns in various weights, at Yarn Stories they believe that a great yarn is nothing without a great design. By collaborating with designers such as Carol Feller, Katya Frankel, Jane Crowfoot, Sasha Kagan and Tanis Gray, Yarn Stories bring you patterns and collections designed with their yarn. Annabelle Hill from Yarn Stories dropped by to chat about the company, the importance of British textile heritage and the inspiring design collaborations. Yarn Stories was developed by the team at Spectrum Yarns over a period of 18 months from the beginning of 2013 and launched at The Knitting and Stitching show 2014 in London. We took our time to get the yarn right by working closely with designers and knitters/crocheters and the spinners in our mill to find out what makes a good yarn and what kind of premium yarn they most desired. Our mill has been operating for many years producing premium yarns for high-end suiting, the kind you will find in Saville Row tailors. For us it was about getting the yarn right but we decided right at the start that we wanted to involve designers in every part of the process and create a brand that related and responded to knitters and crocheters in a new way. We did reach out to the design community very early on to get their input. We couldn’t tell them much about the project but they were very generous with their time and encouragement. The designer collaborations are a vital part of our brand because we respect their work so much and we wanted to support the design community. The merino comes from Australia and yet you have kept that process here in Britain. The spinning heritage of the UK seems to be very important to your yarn. Worsted yarn spinning started in West Yorkshire over 200 years ago. The knowledge and experience gained since that time has been passed down the generations. Choosing the best raw materials and blending, dyeing and processing those materials to create a yarn that not only looks and feels good but produces a product that will showcase a crafter’s skill is dependent upon the disciplined application of our knowledge. 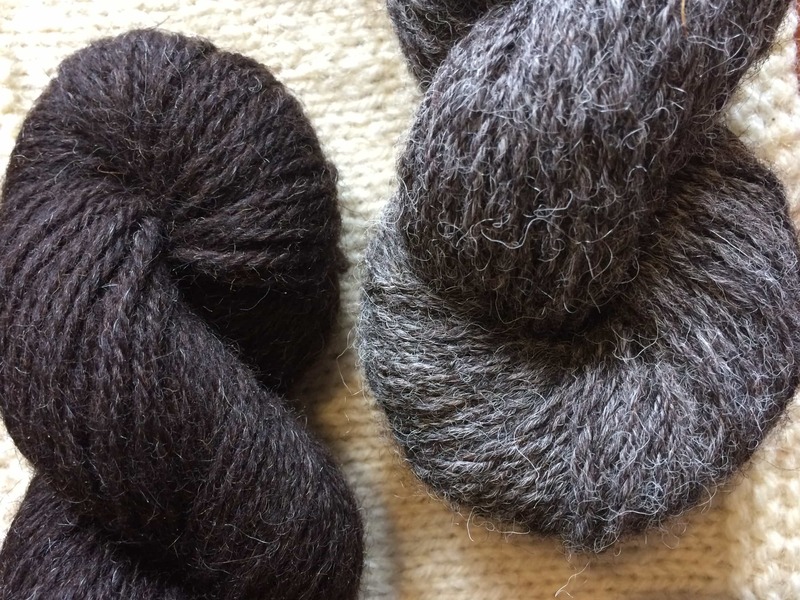 Is your merino from a non-mulesed supply? We buy the best Merino fibre from reliable sources where animal husbandry is a key priority. We have no specific information but understand that if it is considered necessary to mules a sheep then local anesthetics are used; the alternatives are far worse. 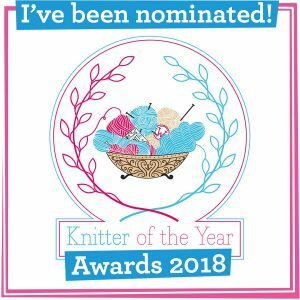 Knitting heritage is also something that seems important to you; you launched the Knitting and Crochet Guild design competition recently; how has this been going? It is very exciting. The first time we visited the archive we were struck by the enormity of what this small group of volunteers are trying to do – to protect our knitting and crochet heritage for future generations. It’s not just about publicising their work but we wanted to do something practical, to give them a revenue stream that would go just a small way to help secure a wonderful resource for everyone. The design collaborations at Yarn Stories have you working with well-known designers and others who are just beginning their journey as designers to create single patterns and collections. Can you talk a little about that relationship? We send our mood boards and colour palettes for each season to a group of carefully selected designers. We also give them a clear indication of the kind of garments and accessories we are looking for. When all the sketches and swatches are in we work as a team to choose an exciting range of designs that reflect our brand and that work together as a collection. We are always on the lookout for emerging new talent as well. We also keep in regular contact with our designers so they can see how our brand is evolving. It’s really important to us that they feel a part of what we are doing. Can you say anything about upcoming designs or collections? Our next two collections for spring and summer are called Marine, which is inspired by the sea and the textures you find around the shore line in blues greens and neutral colours; and Skylark, which taps in to the botanicals trend that is sweeping the fashion industry, featuring bold florals and intricate colour combinations. We have also just launched a collection of children’s designs by renowned designer Sue Batley Kyle. This collection is called Drift. We will always be looking at new yarns to add to the collection but we will take our time to get it right just as we have with our first qualities. 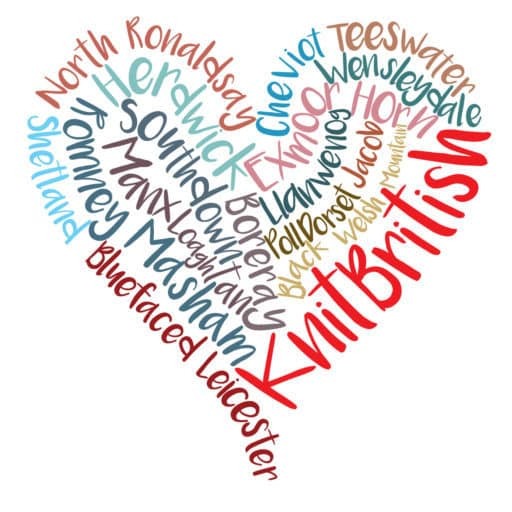 We would love to be able to produce a truly British yarn, but that’s all I can say at the moment. Thanks so much to Annabelle. If you are interested in entering the Yarn Stories Design Competition, in conjunction by the Knitting and Crochet Guild, you can find out all the details here. The closing date is June 4th! 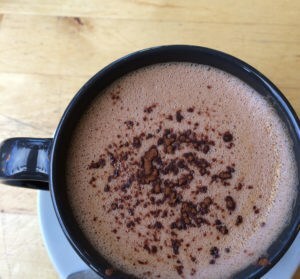 All images are courtesy of Yarn Stories and are reproduced with kind permission. |In the interests of full disclosure I was asked to review Yarn Stories yarn. As the company cannot confirm that the merino isn’t from mulesed stock I have decided against this review. I can’t tell you how much this has made me smile. Thanks Louise. As consumers we’re pretty much in the dark about the origins of the yarns and fibres that make up everything we wear. At least as knitters we have some better choices. I’m delighted to see that this company have chosen to emphasize where it comes from, and tell that story. It’s great to see a woolen mill discovering new markets and opportunities. I’ve read before that the decline in men’s suiting has had a negative effect world wide on the wool industry. I think their target customer will be willing to pay a bit extra knowing where and who it’s come from. I hope this is a sign of a market trend towards caring where products come from; whether we’re buying yarn or clothing or any other products! Also good on you for asking questions about the origin of the fibre itself and declining the review on that basis. It’s a brave stance, but I hope it encourages the mills to seek and ask questions about origins of the fibres and perhaps seek breeds who don’t suffer from those issues. ‘Scuse the ignorance, but ‘mulesed’? How do they ‘mules’ sheep? Mulesing is a practice in Australia of removing strips of skin around the bottom of merino sheep. This is said to reduce the chances of flystrike. It leaves an open wound. It’s a very controversial practice which is meant to be phased out. Using anaesthetic has not been proven to reduce pain or post-procedural stress in the sheep. Merino from countries other than Aus (and NZ Though they have phased this out) does not go through this process. I would like to second Heather in applauding your stance on not reviewing yarns when the mulesing practices of the providers cannot be determined. It’s hard, but it is the only way to let producers know that it does matter. What should I look for when purchasing yarn bc I certainly don’t want to support mulesing. It’s only Australian merino that you need to worry about. If it doesn’t say about mulesing on website or ball band then ask the seller. If they can’t tell you, or say yes then you can use your own judgement as t whether to buy it. You could switch to buying non Australian Merino instead.